For many of us, just hearing the word spiders causes us to shiver and shudder. They are among the least favorite of the creepy crawlies, and once they appear, a call is typically made to the local pest control in Fort Worth. 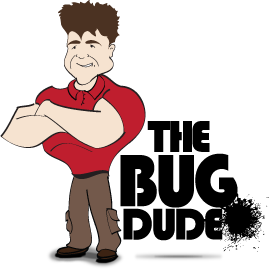 The Bug Dude can take care of your pest control needs. Of the 45,000 known species of spiders, 205 species of the arachnids have been involved in medical research. It turns out, that 40% of the species have a peptide that will revolutionize the treatment of chronic pain in the near future. Current research reveals that spider venom in the 40% contains seven peptides, with the ability to block the ascending nerve pathway to the brain. Incredibly (considering it originates from spider venom), the new class of painkillers will offer fewer side effects than traditional painkillers. There are nine sodium channels in the human body (Nav 1.1 through Nav 1.9), and each channel affects particular cells. In simple terms, sodium channels are the “gateway” of nerve function. Nav 1.7 channels provide a pathway for pain to the brain, and the identified spider venom peptides offer the promise to block the pain pathway. Spider venom not only has the potential to block pain pathways, but also promises to be a non-addictive solution for those who suffer from chronic pain. However, knowing about the current research may not change your opinion of spiders, or stop the shivers when you see one in your home. However, spiders are helpful outdoors by eating a number of insects. The majority of spiders are harmless to humans, as not all are able to bite through our skin. However, all spiders do have venom. Contact The Bug Dude today for professional pest control in Fort Worth. 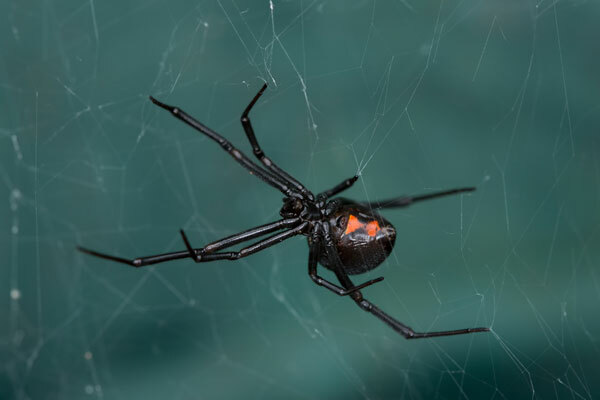 Of the approximate 3,400 species of spiders throughout North America, only two in the southern and western United States are potentially deadly – the black widow and the brown recluse. These two species can rapidly become an infestation, and due to the severity of the risk they pose, require pest control in Fort Worth. While some spiders like damp environments such as basements and crawl spaces, other like dry environments such as your heating and air conditioning system’s duct work, corners, and attics. The black widow spider prefers dark, secluded areas woodpiles outdoors. Inside the home, they prefer sheltered, dimly lit locations such as garages, dark corners, basements, closets and cluttered areas. Black widows are nocturnal spiders, though they spin webs during daytime. They are abundant in the southern U.S.
Several species of widows are present in the United States. The most common in the American South are the southern widow (Latrodectus mactans), and the brown widow (Latrodectus geometricus). Bites can result in a severe reaction, or even death. Contact The Bug Dude today for effective pest control in Fort Worth. The adult brown recluse will vary in color from dull yellow to tawny, dark brown. Younger spiders are lighter in color than adults are. Adults measure approximately 6 to 11 mm in length of body. Brown recluse spiders are identified by the presence of a dark, violin-shaped mark on the dorsum of the arachnid’s cephalothorax, with the neck of the violin directed toward the abdomen. The violin marking has also earned this spider the name of fiddle-back spiders. Brown recluse spiders prefer dark, sheltered places in homes, barns, and basements. Webs appear disorganized, and are typically located near the ground, or floor level. The spider is a hunter, so the web is not a tool to catch prey. The spider roams around searching for prey. The brown recluse inhabits the central southern part of the U.S., from Texas to the western section of Florida. The bite can result in infection, gangrene, and death. Infestations can expand rather quickly. If you suspect a brown recluse infestation, call The Bug Dude for professional pest control in Fort Worth. Tip: If you utilize glue traps to assist with spider control, a bug on the trap will attract spiders. Take notice of the spider’s location, if all spiders are located on one side, examine the wall on that side for cracks, and seal it. Leave the traps out, as a species may be nocturnal, while others are active during the day. If spiders are infesting your home, give The Bug Dude a call for expert pest control. We will inspect your home, identify the species of spider, and provide the appropriate pest control in Fort Worth for spider eradication. Our trained professionals can take care of your pest control in Fort Worth needs.